My favorite makeup, from the day I ever stepped foot into a beauty department, has always been eyeshadow. Eyeshadows have always "caught my eye" and they speak to me more than any other beauty product. 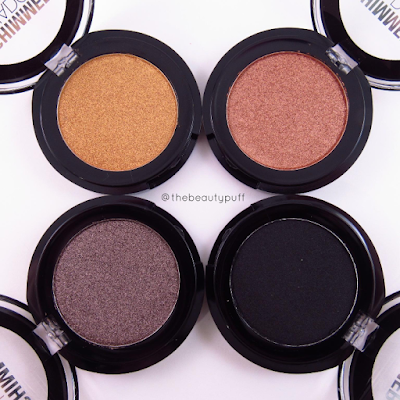 From mattes to shimmers, singles to palettes, I am an equal opportunity eyeshadow lover! 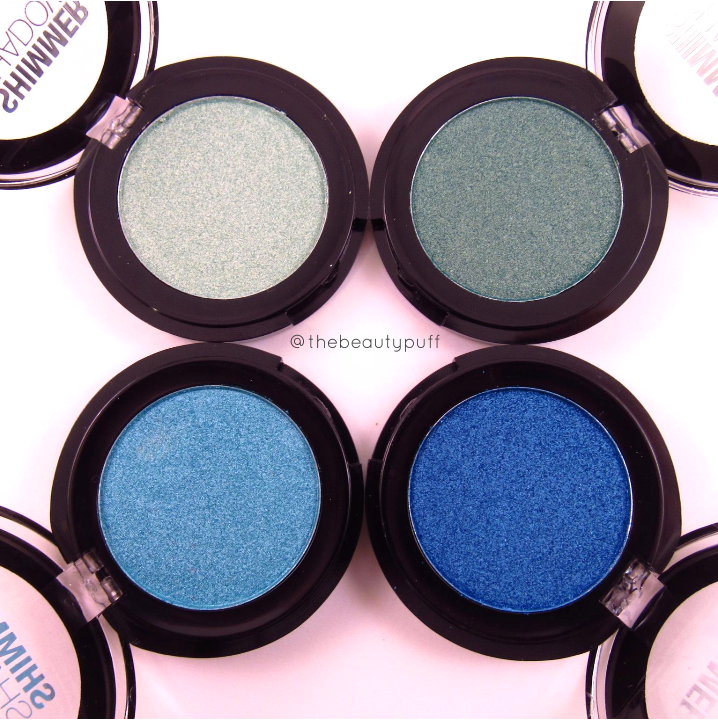 If you are looking for some intensely pigmented shadows that don't break the bank, then you will love these Shimmer Shadows by City Color. They are a combination of some of my favorite things - affordable, pigmented and packed with dazzling shimmer. These shadows come in 16 gorgeous shades from neutrals to eye-popping vivid colors that will add instant "wow" to any look. They are all shimmery except Black Widow (center), which is a versatile, highly pigmented matte black. I love neutrals any time of year, but there's something about adding a pop of color that brings any look to life. These shadows work well packed on the lid, as liners, or blended for a diffused look. The formula is incredible. They feel soft and velvety with no fallout (I always tap off excess). 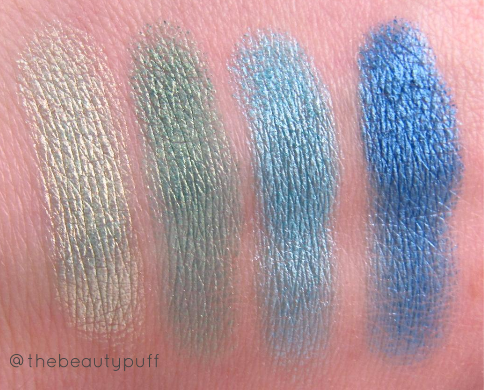 There are no chunks of glitter or uneven texture in these shadows - just pure, smooth, shimmering color. For ultimate pigmentation, you can use your finger or a flat shader brush to get the most intensity. They are so easy to work with, no matter how you choose to apply them. The color and finish really stand out even when used as a liner! If these shades don't scream fall, I don't know what does. The warmth, shimmer and depth of these colors is amazing. I have seen shadows that cost at least twice as much that don't pack a punch like these Shimmer Shadows. 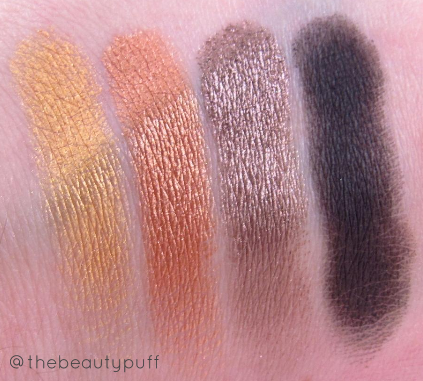 If you want to try out just one of these shadows to see if you'll fall in love, I highly recommend All Eyes on Me. You can get a wide range of looks with it and it's gorgeous as a one-shadow look. However, I warn you - once you try one, you will want them all. 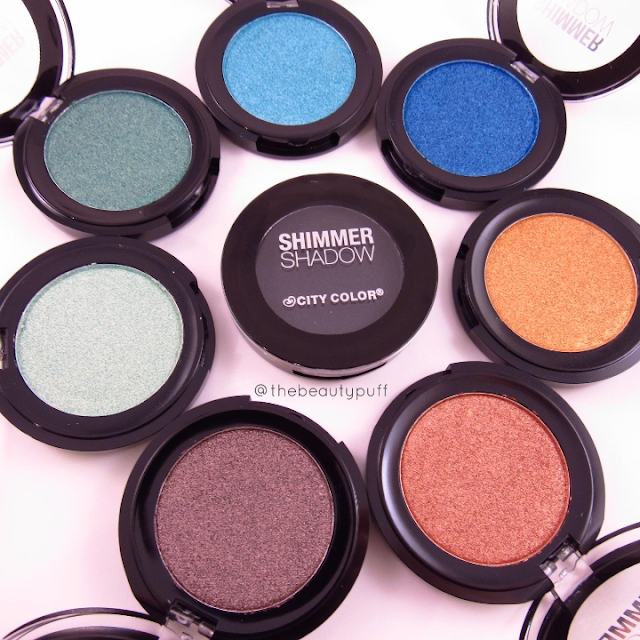 City Color Shimmer Shadows are only $6.99 for 0.129oz or 3.69g of product. That's more than double the product for less than half the price of some more well-known highend shadows. Do the math, do your homework, and do the right thing... check these beauties out!